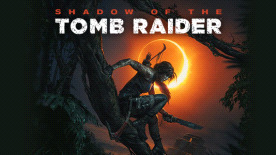 Wrapping up a trilogy that revived and revitalised Lara Croft for a new generation, Shadow of the Tomb Raider maintains a base level of excellence in action, puzzling and platforming - but it also isn't afraid to take a few risks. There's markedly less combat in this game than its predecessors, lending a sense of pace and atmosphere closer to the original games than ever. In other words, it's about the business of raiding tombs again. That places extra emphasis on the puzzle component - wandering enormous caverns without challenge would otherwise be a bit tedious, wouldn't it? - and SotTR finds invention and a graceful difficulty curve throughout the 25 hours on offer. Narratively there's perhaps more to drink in and mull over than ever before, with flashbacks and abrupt changes in tone and direction peppering the broader arc of Indiana Jones-like caper. Daring, gorgeous to behold and definitely in touch with the series’ roots, Shadow of the Tomb Raider is a fine conclusion to Lara's modern-day trilogy.